Includes detail about Aboriginal case management, legal matters, roles, responsibilities and more. The Aboriginal Case Management Policy, and Rules and Practice Guidance applies to all Aboriginal children and young people and their families. As such, appropriate application of the Aboriginal Case Management Policy and Rules and Practice Guidance requires robust processes to identify Aboriginal children and families as early as possible in their engagement in the continuum of support, allowing the relevant safeguards to be applied. It is inappropriate to identify a family as not Aboriginal as a default position. Rather, caseworkers actively seek to identify the cultural background of all families. It is not unusual for Aboriginal families to be reluctant to self-identify to statutory child protection systems, given justified mistrust of these systems and their treatment of Aboriginal peoples (see FACS Apology to the Aboriginal people of NSW). Caseworkers are encouraged to take a curious stance to proactively identify every family’s cultural background, engaging them in a robust, iterative process to unpack each family’s unique history and heritage. Aboriginal communities have a collective interest in the safety, welfare and wellbeing of their children and young people. This is reflected in the Children and Young Persons (Care and Protection) Act 1998 through sections 11 and 12. Section 12 explicitly acknowledges the requirement that Aboriginal children, families, and extended families are given the opportunity, by FACS, to be involved in decision making that impacts on their children. This includes Aboriginal communities and representative organisations. for another reason in connection with the administration or execution of the Children and Young Persons (Care and Protection) Act 1998 (section 254). 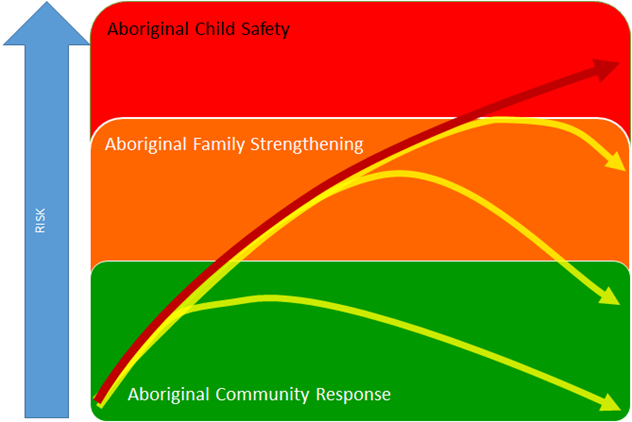 The participation of Aboriginal families, extended families, communities and representative organisations is important to making informed decisions in the best interests of Aboriginal children and young people, and reflects the interests of Aboriginal families and communities in the safety, welfare and wellbeing of Aboriginal children. respect local Aboriginal community controlled decision making structures to enable Aboriginal families and communities to participate in decision making concerning the safety, well-being and care of their children.